Monkeys in gutters, the sky raining letters, foxes in suits, bold script and even bolder statements, Text Alley is Frederick Street gone Festival. 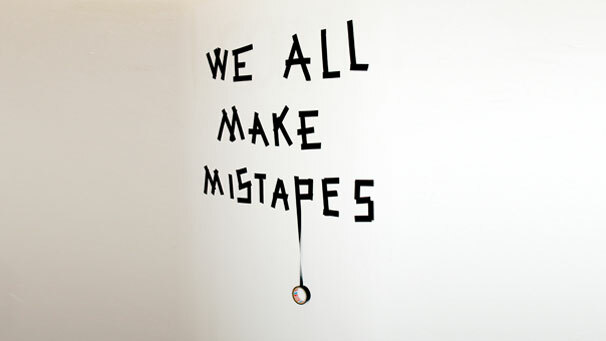 With paste-up and visual poetry, it’s a cheeky and contentious topography of words. Curated by Clayton Tremlett and created with Castlemaine Secondary College students it also features work by Anatol Knotek – Vienna based visual poet and Pat Thompson.